At the Place des Arts building, the Cinquième Salle is located in the middle of the Montreal Quartier des spectacles. 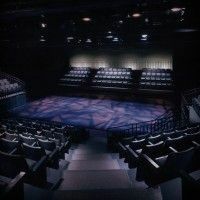 With a capacity of 421 seats and within an exceptional sound and visual environment, the venue offers spectators a range of musical comedy, humor, theater and concerts of music of all types. The boards of the Cinquième Salle have witnessed the performances of famous local and international artists from all over the world. Billets.com invites you to reserve your seats for performances to be held on the stages of the Cinquième Salle; 50 upcoming events from now to the end of 2017 are awaiting! Meanwhile check the schedules and availability of seats online.